Municipal litigation involves lawsuits brought specifically against counties, cities, towns, school districts, police departments, other governmental entities and their employees. Claims against municipalities can arise from countless issues and may be presented in many forms such as challenges to zoning and planning decisions, procedural and substantive claims under the Open Meetings Act or the Freedom of Information Act, and litigation arising from the actions of government officials. 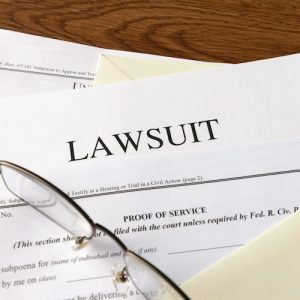 Municipal litigation may also encompass eminent domain proceedings, code enforcement actions, excessive force claims, citizen taxpayer suits, tax proceedings, employment law, administrative hearings, drafting and interpretation of ordinances, and numerous other areas of law. Municipal litigation involves not only an understanding of the basic underlying dispute between the parties, but also an understanding of how the dispute is affected by the laws regulating and governing governmental entities in a specific jurisdiction. Although the disputes that municipalities may face are quite varied and broad, the attorneys at Schiller Barnes Maloney bring a special expertise gained over decades of practicing in the area of municipal litigation. Our familiarity with, and knowledge of, the statutory laws applicable to governmental entities allows us to handle any issues that may arise in an efficient and effective manner.